It's always a good idea to align both extruder heads before printing a model with silver. What is Alignment? Alignment is a unique process to the Voxel8 Developer's Kit Printer where the thermoplastic nozzle and silver dispensing nozzle are calibrated to the correct z-heights so they are in synch during the printing process. It involves automatic bed leveling as well as nozzle calibration for z-height. ✓ A.) The red nozzle is brand new and is neither bent, nor clogged with silver. ✓ B.) The area behind the build plate is clear of plastic, silver, or other debris (especially around the recessed cantilevers). ✓ C.) The build plate has a fresh application of a Voxel8 pre-cut painters tape square. ✓ D.) Both the FFF print head cartridge and the Silver print head cartridge are properly loaded and well seated (see Picture 001). Picture 001: The top of the two print head cartridge areas with filament and silver properly loaded. ✓ E.) The silver cartridge was not empty before you inserted it. TIP: It’s always wise to replace a red nozzle when doing a new print. Nozzles can become damaged, or clogged with dried silver over periods of time and cause print failures. TIP: Always keep your build plate and bed area as debris free as possible. 2. If you are not already in the alignment menu, you can access it by pressing the “Align” button in the Touch Panel interface under Control Settings (see Picture 001), otherwise this step can be skipped. 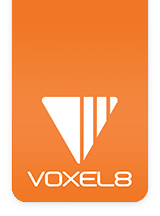 Picture 001: Alignment button in the Voxel8 touch screen interface. 3. A confirmation screen will appear on the front touch panel (see Picture 002) where you will need to start the process. The alignment procedure will begin and last for a few minutes as it does multiple prints and scans on the build plate. Picture 002: Running Alignment through the touch screen panel. NOTE: It is important to not touch or bump the Voxel8 Printer during alignment. Sensitive measurements are happening with the laser distance finder, and the script may abort or mis-calibrate if this happens. You'll have to restart the process again. 4. During the alignment process, multiple 3D printed parts will be output in both plastic and silver and then scanned with the laser profilometer (i.e. distance finder). A.) First a few thin lines of plastic will be dispensed, and then a rectangular plastic calibration object with silver on top will be printed (see Picture 003A & 003B). Picture 003 A & B: The trace has been successfully printed on top of the thermoplastic calibration print. B.) After a first successful calibration print (see Picture 003A & B), a silver printed edge will be output on-top of the corner of first printed trace (see Picture 004A). Picture 004: The silver trace has been successfully printed on-top of the thermoplastic. You're now ready for the last step of alignment.